While we are still exploring the Horizon Award winning case studies in our Procurement Award Winning Case Series, let us also go back and recapitulate the experience from the various sessions at Horizon. I have briefly written about the same in Recapitulating the Horizon Experience, now I proceed to recapture the modules from the given agenda of Horizon 2013. This blog post would cover key-note sessions from Monday, October 28th, 2013 from Horizon 2013. The day kick-started with the session of Aatish Dedhia, Founder and CEO of Zycus who discussed the one thing that he and the entire Zycus team is most passionate about: delivering unprecedented value and performance to its customers through procurement technology. 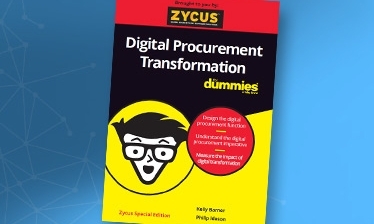 The session explored the advancement of the Procurement Automation Industry and the path that Zycus had tread which has made Zycus become a Leader in the Procurement Automation space from a niche service provider (Check out the Gartner Report). The session provides a sneak-peek into the vision and future plans. Click here for the session video. The session by Alex Brown, CPO, AMD witnessed the Path to Procurement Excellence ventured by AMD in tryst with Technology. In this session Alex shared how the application of eProcurement within the Strategic Sourcing Process at AMD was a key enabler in AMD’s journey to adapt to the challenges posed by the changing market scenario and successfully achieve the objectives to be successful in the dynamic computing market. (Also see why AMD choose Zycus to replaces Ariba). Click here for the session video. Alex session was followed by the Procurement Excellence Award Function, the details of the awards and award winning case studies are discussed in Procurement Award Winning Case Series. Click here for Award Function Video snippet. During this function, Richard Waugh VP-Corporate Development Zycus Inc. and Scott Fitzgerald, Director, Procurement, The Mentor Network shared how Zycus and The Mentor Network are collaborating to re-imagine the next generation of P2P, with an innovation in “Guided Buying,” that reconciles the need for both increased ease-of-use and greater spend and process compliance. Click here for the session video. Stay tuned for insights on various sessions held at Horizon 2013. Click here to check out the Horizon 2013 micro-site.